There are many things you can do selfishly, without looking "selfish". There are many things we can do to create a better world, with hidden agendas. It's tricky. Here, on my blog, I write opinions through past experiences or what I'm currently going through this this very moment. I am not a doctor nor represent anyone from any medical field or psychological profession. I do however, know a whole lot about psychology -- anxiety, depression, all that good stuff and the medications that tag along with it, because I'm a patient. But I'm also a patient who is highly against antidepressants only due to my experiences being on them for a short period of time. 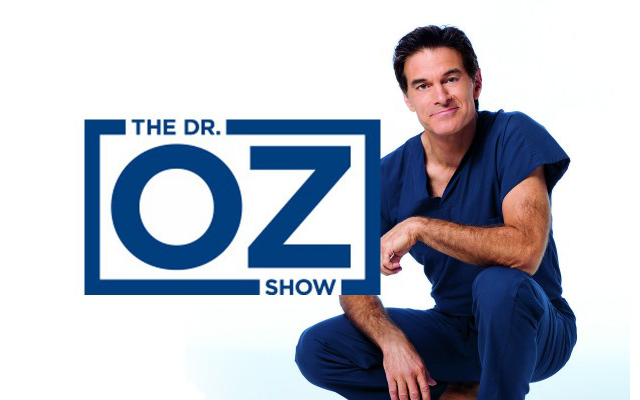 A few days ago, I was contacted by the producers of The Dr. Oz show. They wanted me to be a guest on their panel to discuss my opinions and experience with antidepressants. I thought I would be the 'odd guy out', being that most doctors love pushing pills, however I was assured that Dr. Oz had similar feelings regarding handing out antidepressants too much and too frequently. There would have been other famous doctors up there on the panel debating with me as well, or at least, downgrading my experience. At first, I was apprehensive due to many factors: nerves, vanity, ego, etc. With pep talks from my sisters and a few friends, I pushed that evil ego aside and said, "Why not. I'm doing it." The producer called me later that night trying to sell me on this, saying that it would benefit me and my website. Well, that was a perk. She explained it was a great opportunity for me and my writing. Well then, here's my big break. Wait - why am I going on again? As flattered and honored as I was to even be asked to be a guest on The Dr. Oz Show, I am graciously declining. I don't have the right motives. While it's all true that my experience with antidepressants were nothing but a miserable roller coaster, I'm not 100% sure that it may have been psychosomatic because I am so against pills of any form. I did experience high levels of anxiety, dry mouth, yawns that wouldn't end, shaking, convulsing and constant dry heaving, but some people don't experience that. See, my official diagnosis is "generalized anxiety disorder". I don't have bipolar disorder or schizophrenia (although some people beg to differ, that's a whole other can-o-beans). If I went up on that panel and argued that antidepressants are the devil (as I think they are for 'me') --- it may just be a life saver for someone else out there that is relying on my every word. "Oh look, here's a woman who had a bad experience with antidepressants and I wanna get off these damn things!" That's exactly what I don't want to happen. I don't want someone who really needs help to take my unprofessional "blogger" advice on something so serious. My point is: although I stand behind my distaste for medications, I also feel that there are people out there that really do need them to function in order to live a healthy and normal life. I was also asked, or advised in a subtle way to elaborate (embellish) my symptoms, which is something I don't feel comfortable with. There are a couple of things I'll lie about: my weight and my age. After that, you're getting raw and blunt honesty. There are so many options to move those little brain chemicals around with more obsessive positive thought patterns and throwing away the negative ones. Sounds so easy and perhaps a cop out -- but it's been working wonders for me lately. As soon as I get an obsessive negative thought -- I picture a "stop" sign and turn it around into a positive outcome. I can't tell you how much this technique has worked for me, and hopefully it will last. It's about visualization of a positive outcome. Not everyone has these options if they have other types of mental illnesses. I want to help, not make it worse. Nobody should seek advice from a blog. Nobody. Blogs are for entertainment purposes and getting wacky opinions from your everyday citizen. If I was asked to be on a show about doing things in a natural way and not bashing the meds, then yes, I would probably consider it. But discouraging medical help for people who really need them, I don't feel good about that. Let my blog suffer a bit longer. Hopefully one day, this blog will help much more people in the future as I carry on and on. So thank you, Dr. Oz for the opportunity to come be apart of your show. I'm much more comfortable being a viewer as of now. Is the Media Stirring Up Income and Ratings?